> See your family anytime, anywhere. Experience the warmth of home whenever you want! 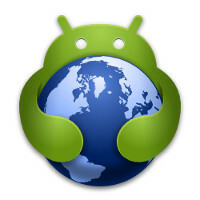 > You can also view other open cameras, to see sights from around the world, and hear the songs of many nations. > Have the whole world listen to the crowds outside your shop, and the delightful music around you. > No matter how far away you are, you can be back home with the touch of a button! > Even more fun features await you!